Your Local Weather Authority is expecting low temperatures Wednesday and Thursday morning to be near -20° with Wednesday's high temperature around -11°. The last time temperatures were this cold, Ronald Regan was the President, Paul McCartney & Michael Jackson's "Say Say Say" was topping the pop charts and Cabbage Patch Kids were all the rage, literally! Some of the worse cold to hit Central Illinois in more than 30 years is expected to impact the region this week. With high temperatures in the negative teens and low temperatures in the negative 20s, daily records will be broken and a few all-time record temperatures may be challenged. In addition to record temperatures being set, dangerous wind chills ranging from -40° to -50° is expected. 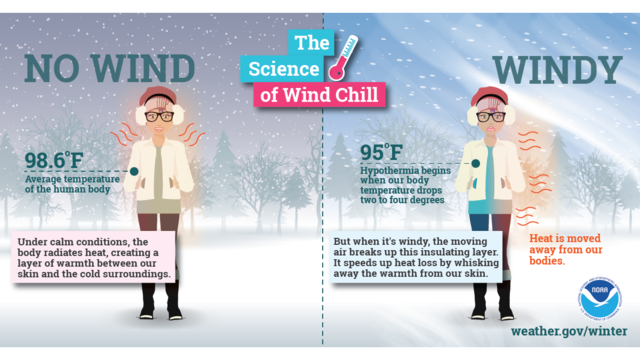 With these dangerous wind chills, frostbite can occur in as little as 10 minutes on any exposed skin and there will be an elevated risk of hypothermia. 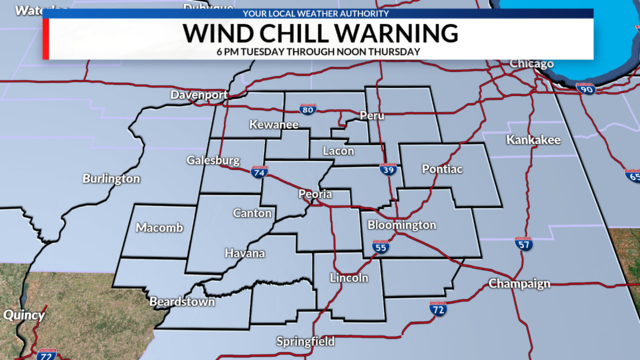 The National Weather Service has issued a Wind Chill Warning for all of Central Illinois from 6 PM Tuesday through Noon on Thursday. Wind Chill Warning is in effect for Central Illinois from 6 PM Tuesday through Noon Thursday. 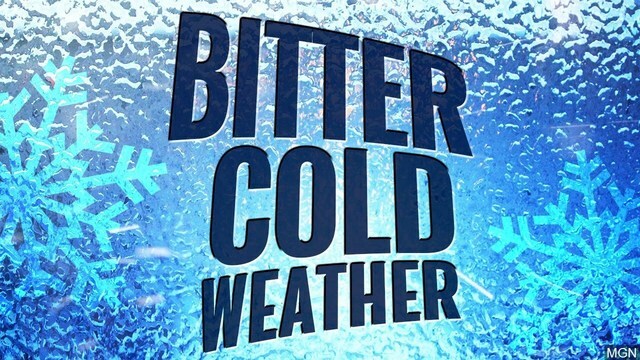 The coldest high temperature on record for Peoria is -16° which occurred back on January 5th, 1884, a date that also holds the all-time record low temperature of -27°. Peoria is expected to tie its second coldest high temperature on record on January 30th. At this point, all-time record low temperatures are not expected in Peoria but daily records are sure to fall. Here are the daily records for Peoria this week. Adjust your schedule - If possible adjust your schedule to avoid being outdoors when temperatures are the coldest. Protect your pets - If you have pets or livestock, make sure they have plenty of food and water. If you can bring your pets indoors. For outdoor animals, make sure they have a place where they can seek shelter from the cold. Dress for the outdoors - Even if you don't think you'll be out long it's important to dress adequately. 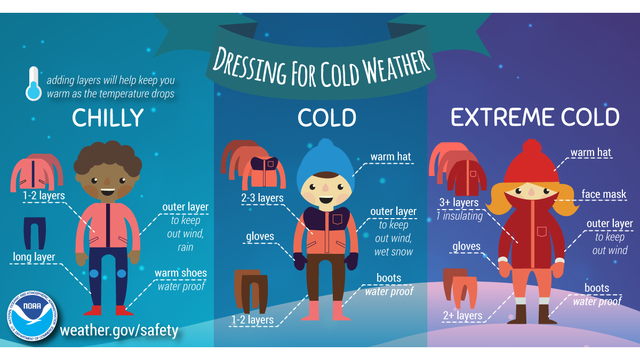 Wear multiple layers, 3 tops, and 2 bottoms. Click here for more tips on staying warm through this upcoming cold snap.